March 23, 2016 March 31, 2019 - The 'Noms. 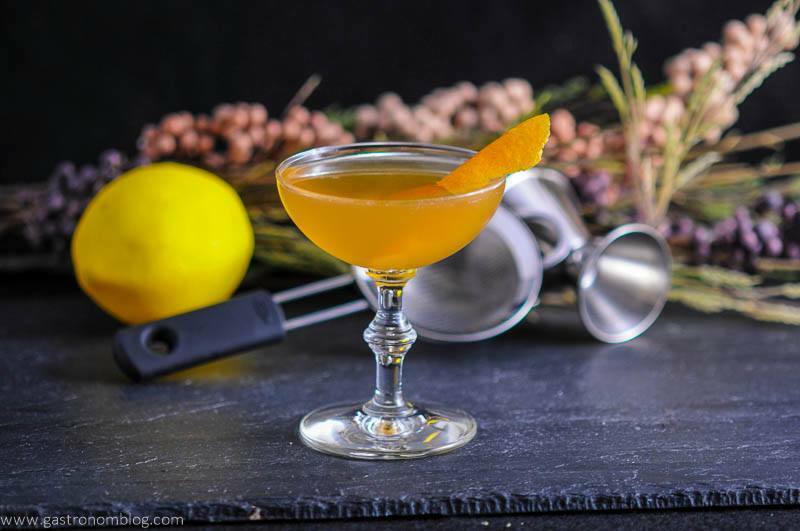 An interesting combo of flavors, we encourage you to try this Calvados cocktail! Certain ingredients invoke a seasonal feel, and while they may be perfect for that season, exploring other ways to use a flavor outside of its seasonal time is a great way to try new things. One of these ingredients is apple brandy, which folks normally associate with all the warm spices and flavors of fall. We also wanted to add in St. Germain Elderflower Liquor, so we did! 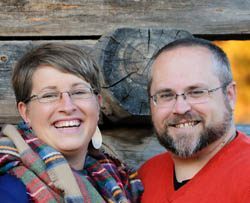 (Disclosure: We were provided samples free of charge, all opinions presented in this post are 100% our own!) 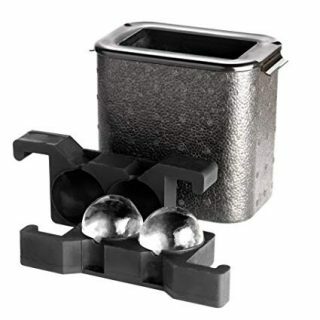 This post contains affiliate links for products that we think you as readers might find useful, and we make commission off of these! For more details about our affiliates, click our Disclosure and Contacts Page. While the US makes some fabulous apple brandies (aka applejack), one of the most world renowned is one distilled in the Normandy region of France. There is a long tradition of using the fine apples grown in the region to make Calvados. 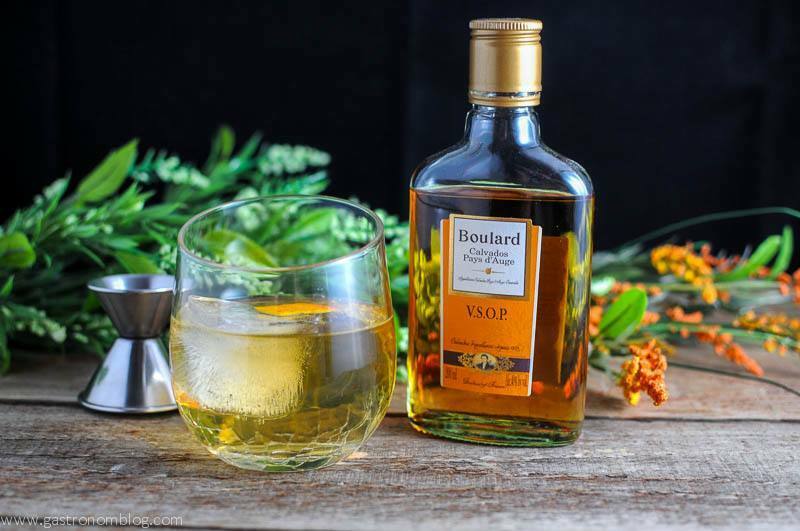 One of the most famous distillers of Calvados is the Boulard family, who has been distilling since 1825. When their promotions group contacted us and asked if we were interested in receiving a sample to use on the blog, we jumped at the chance to get to use this great ingredient in some of our cocktails. Boulard Calvados is made with apples picked from orchards in the Pays d’Auge area of Normandy, France, and then pressed into a dry cider. The cider is fermented and then double distilled using copper pot stills. 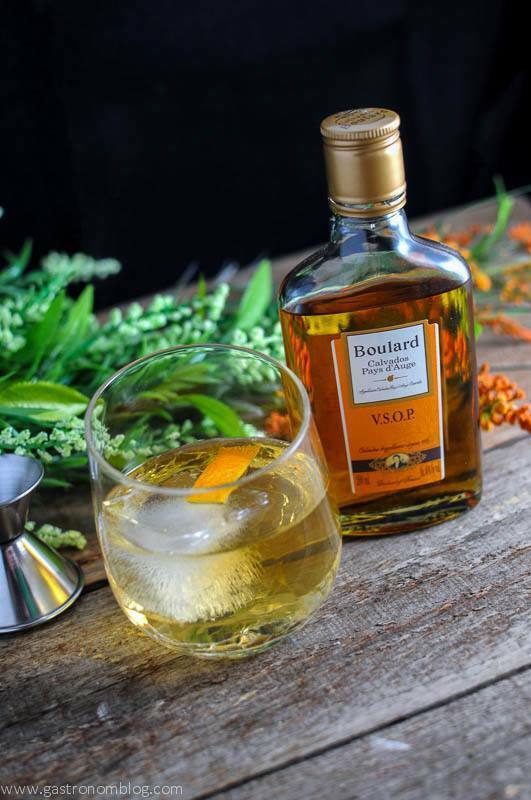 Boulard’s double distillation process gives their brandy a rich complex flavor. It’s perfect for aging in barrels made from French oak over several years. The aging process adds flavors and matures the brandy, resulting in a rich smooth spirit. While French law mandates that Calvados must be aged for a minimum of two years, Boulard Calvados ages theirs for a minimum of four years, allowing their Calvados to mellow into a complex velvety spirit full of ripe apple, vanilla and hints of oak from the barrel aging. 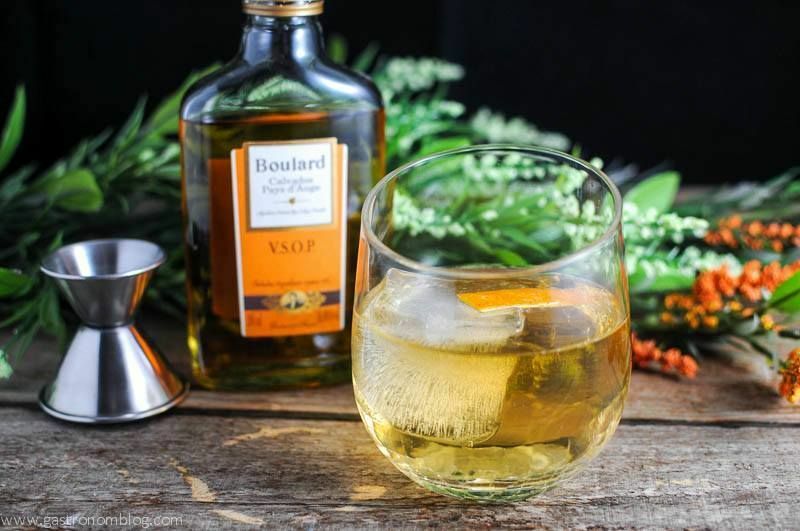 The layered mellow flavors makes Boulard Calvados perfect for mixing in cocktails. While researching the history of Calvados, we kept running across a drink that the locals in Normandy love to drink, Calvados and tonic. 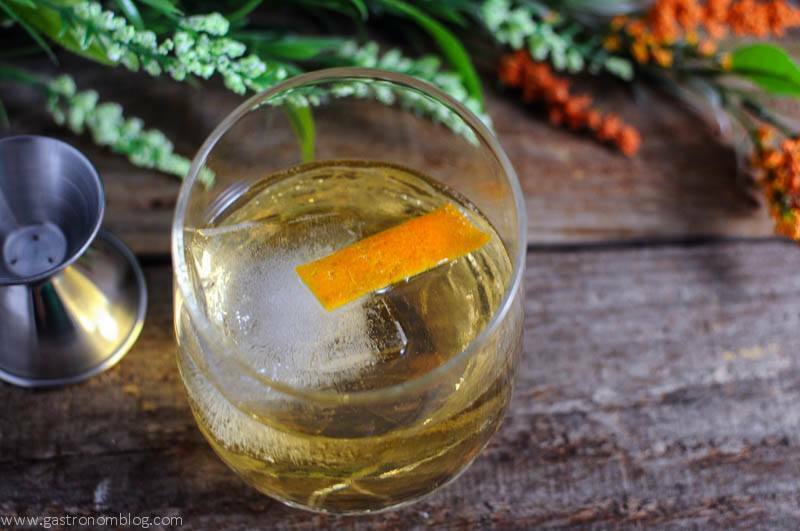 We love the refreshing flavors of a good gin and tonic, so when we read about the combination of Calvados and tonic, we thought this might be a good start for a cocktail. Wanting something refreshing and fit for spring, we decided that we needed something sweet and floral to bring a little spring flavor to the drink. 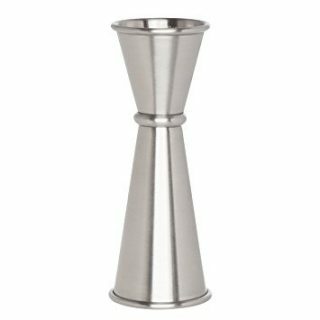 What Ingredients are Needed for the Normandy Cocktail? One of our favorite ways to add a floral note is to use St. Germain Elderflower Liqueur, which is sweet and floral, and we know plays well with our favorite tonic, Fever Tree. 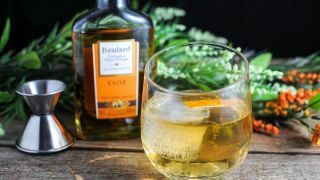 Adding the St. Germain to the Boulard Calvados and tonic made for a very delicious drink. We added a splash of fresh squeezed lemon juice and a orange peel garnish, we realized we had found a new spring drink! We started out our spring break sitting on our porch sipping the Normandy Flower on a warm spring evening! A light brandy cocktail with Calvados, St Germain and topped with tonic water. Add Calvados, St Germain and lemon juice into a mixing glass with a large ice cube. Mix, pour into glass with ice. Top with tonic water.Take an orange peel and express the oils over the top of the drink. 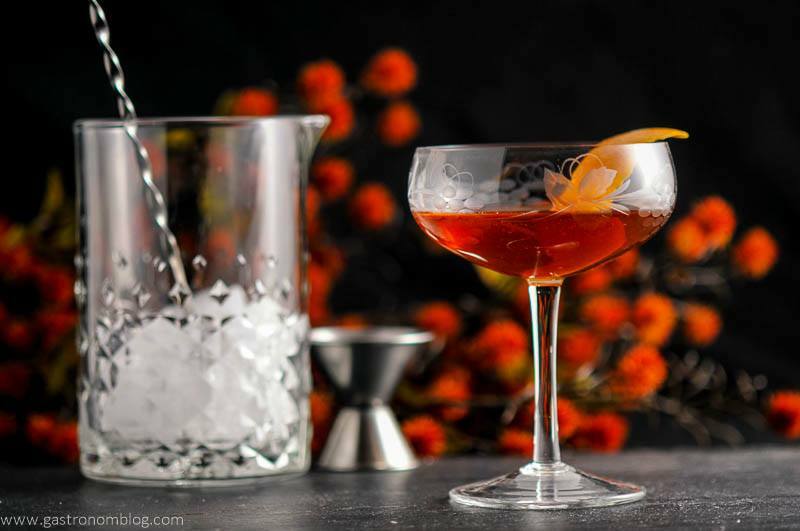 Use the peel for a garnish. PIN THIS NORMANDY FLOWER RECIPE FOR LATER! Never heard of this. Will have to give this a try. I just found out that I love St. Germaine when I recently had a margarita made with it…I’ll definitely give this a try next! What a fun sounding drink! I’ll have to give it a try! I love elderflower, but I’ve never had elderflower liqueur… will have to try this! 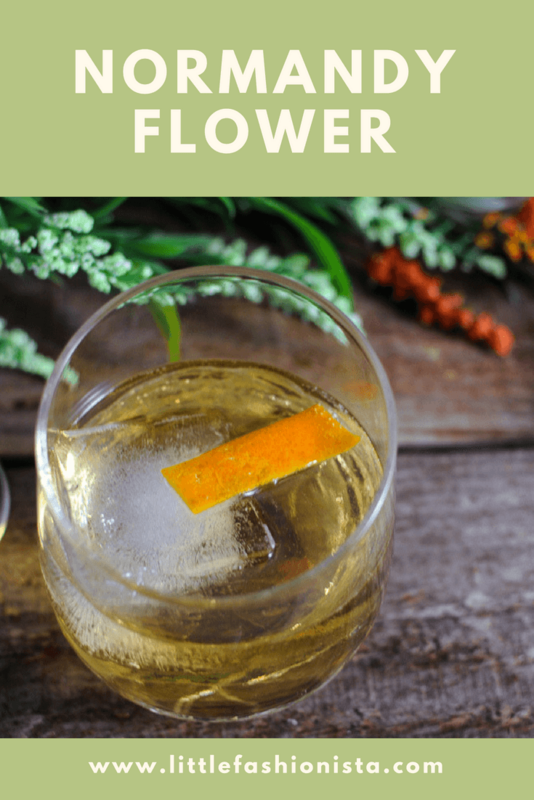 The elder flower liqueur is one of our favorites! I’ve never tried any of these, but it sounds like a delicious drink. Great for the season for sure. Thanks for the idea and recipe. Incredible combination with Calvados:) And I also love the names of your cocktails. You invent them? The title perfectly complements the image! It is a really great combination! Inventing cocktail names is probably the hardest part of the process! I could really use this today!! Thank you so much! Hope you give it a try! It found a perfect balance between the fresh apple and the elder flower! Happy hour is at 5! That looks so dang good! I love all the cocktails you post. Always so simple and elegant. This looks and sounds so refreshing. I’m always intrigued by new (to me) cocktails and I’m looking forward to gathering the ingredients to try this one.